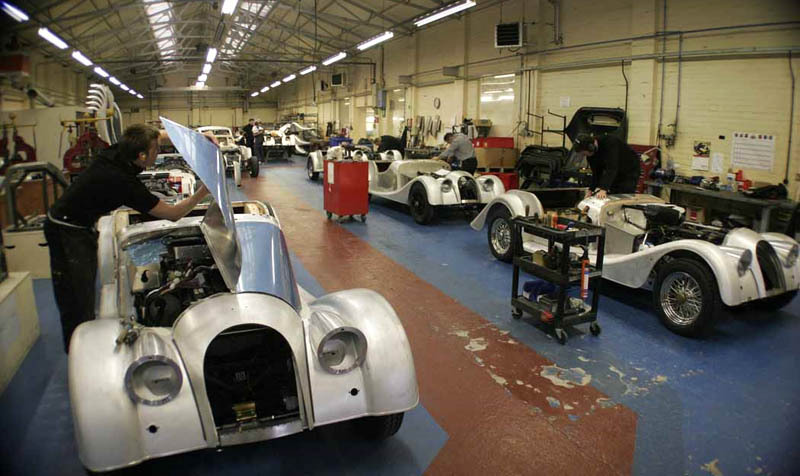 The Morgan Motor Company is proudly independent (even Ferrari is owned by Fiat, every sports car company seems to be a subsidiary of a larger manufacturer these days). These cars are not cheap ($44,000 for a base model, some cost as much as $300,000), the waiting list is more than a year (each car is made by hand) - can this company survive the severely affected luxury market? Mr. H.F.S. 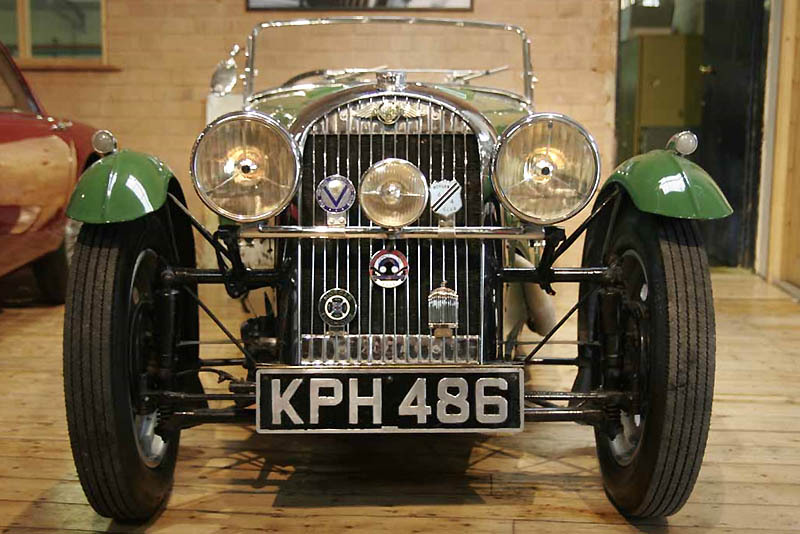 Morgan guided the company for almost fifity years, beginning in 1913... "After a hair-raising first drive in a 3 h.p. Benz that ran away with him down the 1-in-6 gradient of a hill between Bromyard and Hereford, he emerged intact but considerably poorer." 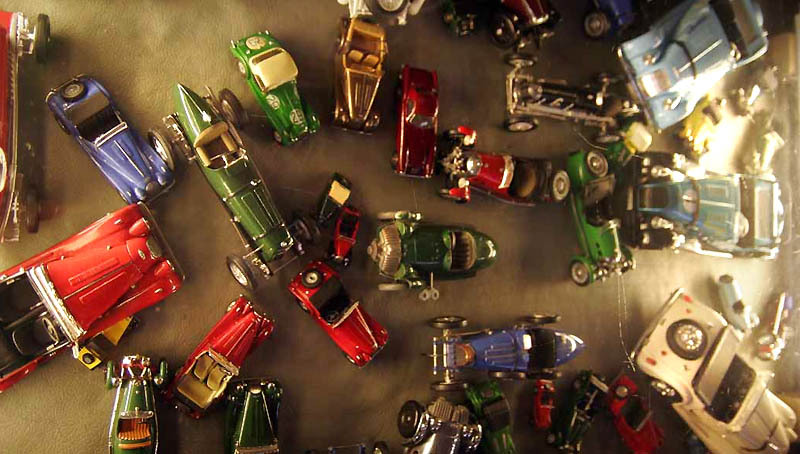 That was in 1906, the Benz did not kill him - and in 1910 Morgan patented his own three-wheeler "Roundabout". In 1913 the company was formed and has been a family business ever since. 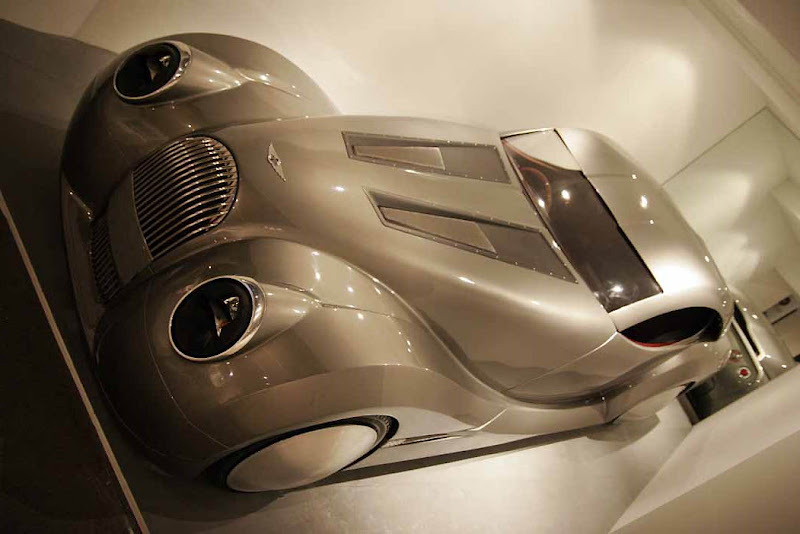 Also Read: "Most Sensuous Car Shapes Ever Designed"
Those are some ugly cars! Personally i think that these cars are beautiful, esspecialy the older ones. 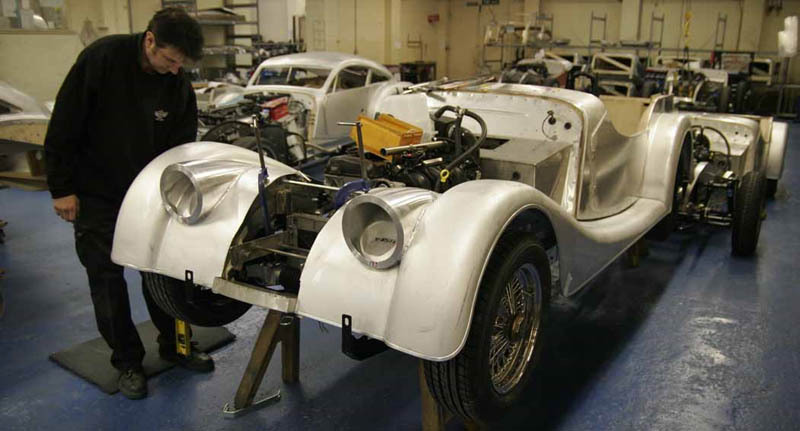 Morgan have for a long time been one of my favourite car companies, they have one of the finest heritages around yet are very froward looking for a very small company. The Aero's do look a little cross-eyed but that's fine with me. Those new 'concepts' are terrible. 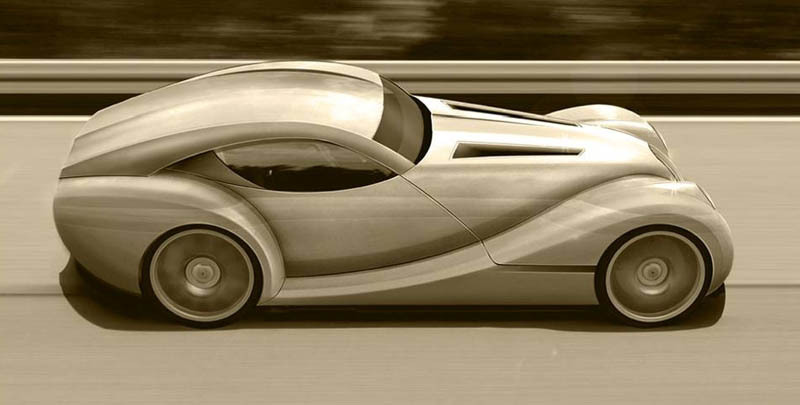 World car design is dead, and models/manufacturers are recognizable by the logos only. If they bring them to life, they will destroy company's image. Enjoy them while they last, they'll be victims of the economy soon enough. whom ever said "these cars are terrible" has no artistic talent no latent abilities and is destined to work the same dead end job for the rest of his life, not because the car is terrible but because you have no appreciation for the work that is put into these pieces of art. also you are not required to like them because there are those of us that still do and have for nearly 80 years. Whether you think these are beautiful or not is a matter of personal taste. 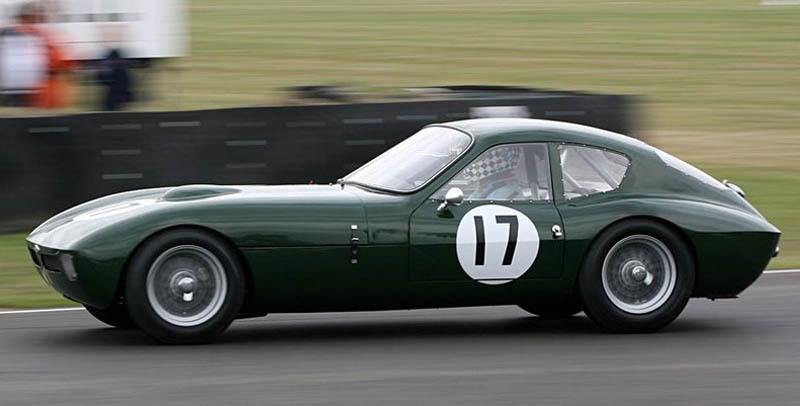 However, facts dictate that, of almost any car, this is the one you buy if you don't want to lose much money. I have a 12 year old Plus 8, bought it new for £35k and I am reliably informed its worth between £25k and £28k now. I can't think of any other car that retains its value so well. Who ever said this company would not survive this fake manipulated 'recession' obviously does not understand the auto industry or money and stocks. If Morgan can servive the 'REAL' great depression they will certainly ride this speed bump out. long enough to ride it out. The est part is they don't have greedy money hungry stock holders insisting they have a certain percentage of growth and profits every year under the threat of selling out. They also have the fact that they are a small company that can change direction or do what ever they have to do with out having to put it through a committee for approval What it all oils down to is that they will survive AND prosper. PERIOD! These are some great cars. 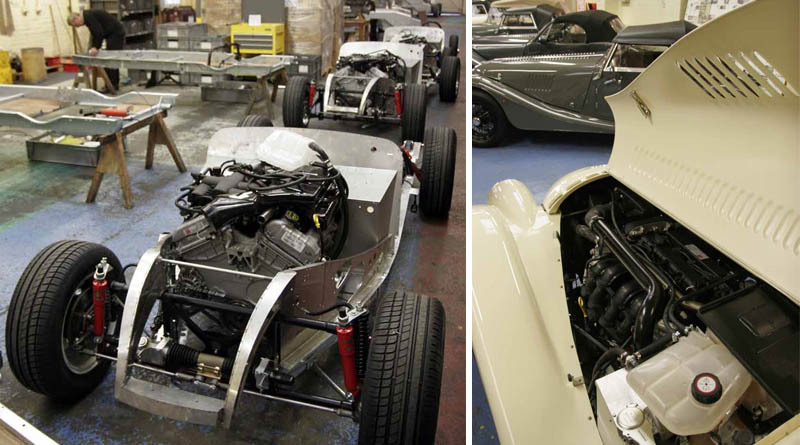 One has to enjoy the beauty of the workmanship that has gone into makeing these. Wish I had the money to buy some of them. 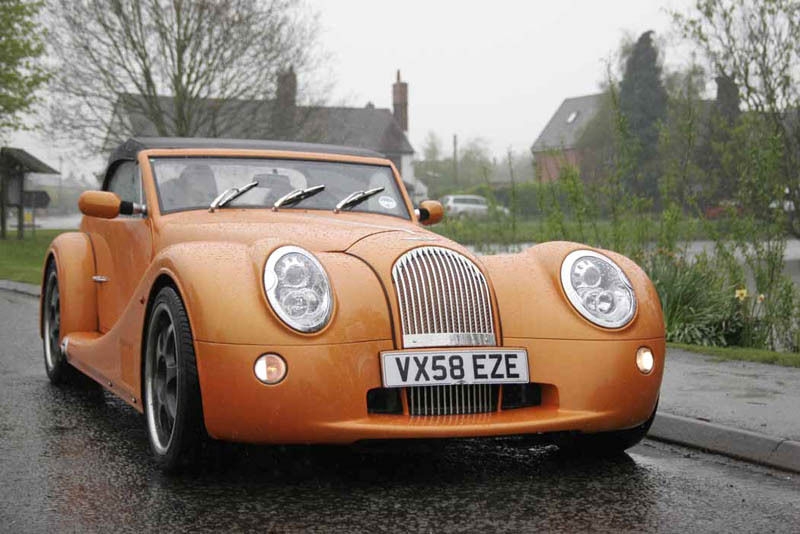 I suggest that all you guys that drool over Morgans need to live with one and see how you feel about the scuttle shake, the frontend shimmey at 50mph and the bum pounding ride. any time anywhere. Blood Marvelous! Beauty is in the eye of the beholder; indeed in this case the expression 'your eyes are mirrors', comes to mind. 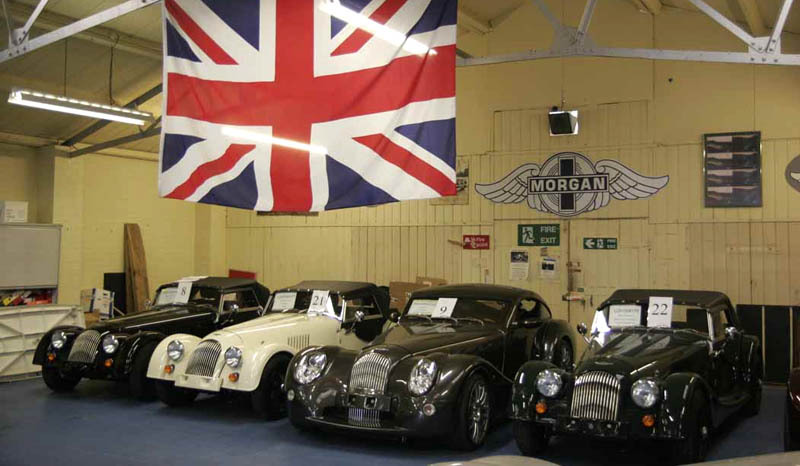 Long may Morgan, surely one of the few quintessentially English products left, survive, and go from strength to strength! I have had a Morgan plus 4 now for two years and it's marvellous. Can't get enough of driving it. The feel and quality are second to none and they do perform brilliantly. Never regretted the purchase. Long live the Morgan !! The Three Wheeler is coming back. There are a number of videos (including a test drive by Jay Leno) on Youtube. The three-wheelers are fab - had a test drive in one recently. It does't have a great turning circle, but is very responsive, soaks up bumps in the road and goes like the wind. Came back with aching cheeks - I was laughing the whole time and could see all the other motorists laughing, too. It was the most enormous fun. If we had the money, we'd buy one. 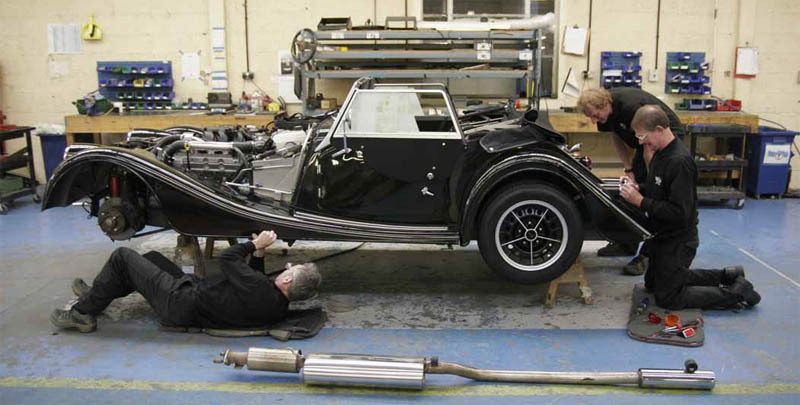 Yes, you either love or hate Morgans; they are quirky and totally unsuitable for the British climate, but if it's your thing, there's nothing better than pottering around the countryside in one of these eccentric vehicles. Love these cars!!!! Went and saw some at the Morgan dealer for New York! Even better in real life than these awesome photos. Manhattan Motorsports (MMS) (www.morgan3w.com) even has the first and only (at the moment) US spec of the 3 Wheelers....loved it, bit the bullet and placed an order through them! Big thumbs up to Morgan and to their NY dealer. Really enjoyed the afternoon at MMS...now can't wait for Manhattan Motorsports to deliver my Morgan 3 Wheeler :-) !!!!!!!!!!!!!!!!!!! !